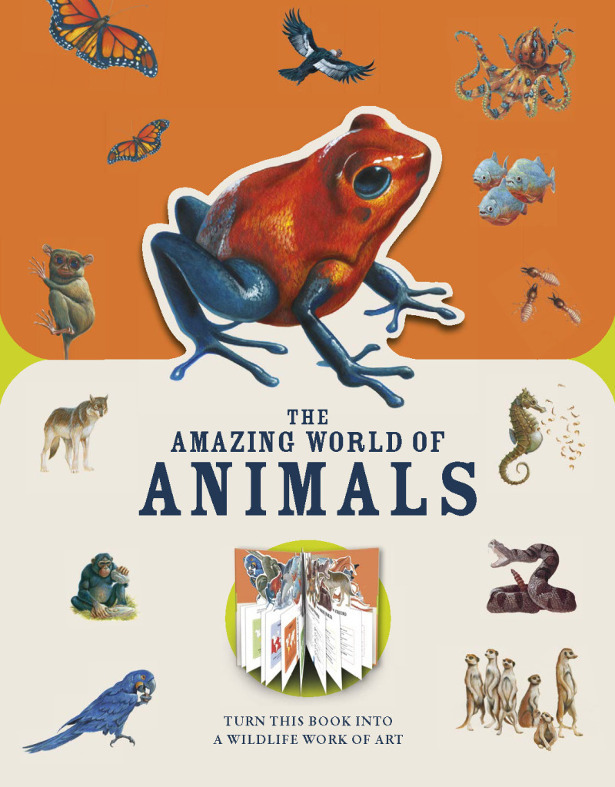 THE AMAZING WORLD OF ANIMALS… by Author Moira Butterfield! 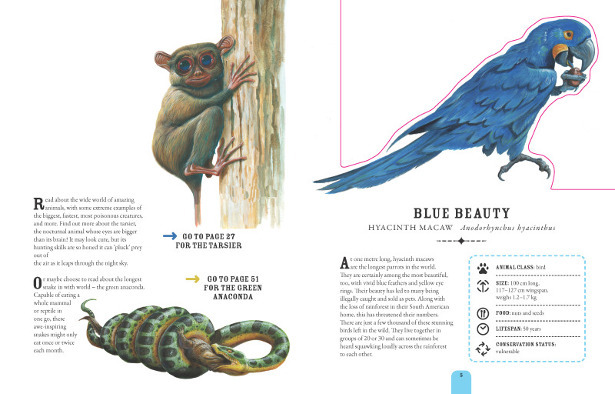 (£12.99) Meet the world’s most amazing animals & press-out pages into wildlife works of art! Part of the Paperscapes Series! Fresh For Spring Arrivals! 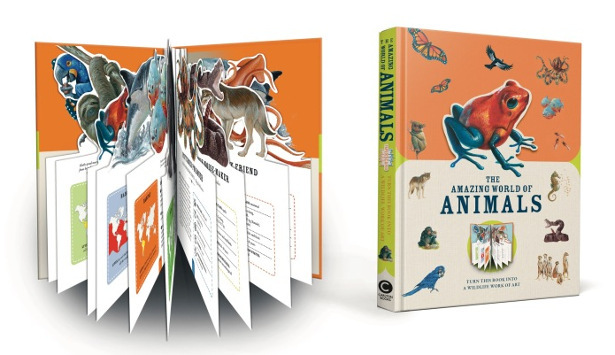 Meet the world’s most amazing animals in this beautifully illustrated book with press-out diecut pages which turns into a wildlife work of art. 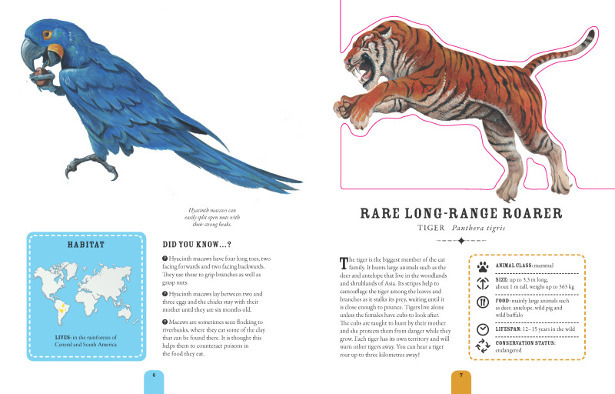 The Amazing World of Animals takes a look at fascinating animals from around the world. The unique diecut format lets them leap off the page, forming a parade of the biggest, strangest, weirdest and most fascinating creatures from land and sea. From emperor penguins to the giant squid, mobs of meerkats to slow-moving sloths, there’s a new animal to meet with every turn of the page. 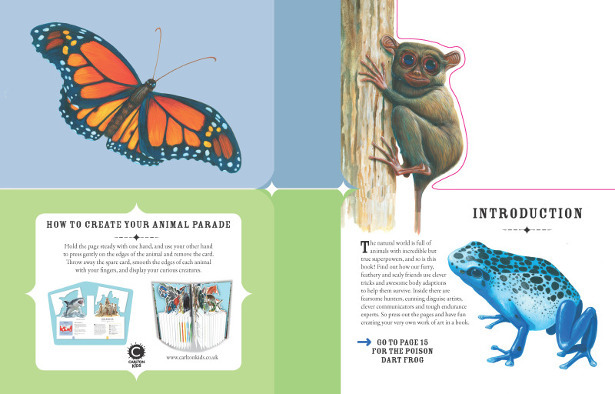 Each animal is presented with information about their appearance, characteristics, key facts and their conservation status.